Are you feeling lucky? Lucky charms have used to ward off evil for centuries. Finding a heads up penny, wearing an unwashed jersey, a hat worn upside down and backwards to rally for the losing team are all ways to bring good luck. Lucky trinkets have been worn for centuries, including the cornicello horn, the four leaf clover, the Hamsa, the ladybug and the horseshoe. In ancient Greek and Roman mythology the horn signified strength, power and abundance. It is said to bring future wealth and prosperity to those who wear a horn. Animal horns are believed to have great power over the evil eye. In Italy a cornicello, or cornetto which translates to “little horn” or “hornlet”, is a charm worn to protect against the evil-eye curse. A curse cast by a malicious glare to cast misfortune or injury. Originally the cornicello looked like a twisted horn, resembling the African eland or antelope. As the tradition continued, Italians also refer to the cornicello as a chili pepper due to the abundance of peppers in Calabria. A person who finds a four leaf clover is said to have good luck. The leaves symbolize one for faith, the second for hope, the third for love and the fourth for luck. In the Irish tradition the three leaf clover is called a shamrock and it represents the Holy Trinity. If a four leaf shamrock is found by an Irishman the fourth leaf represents God’s Grace, a truly lucky person. 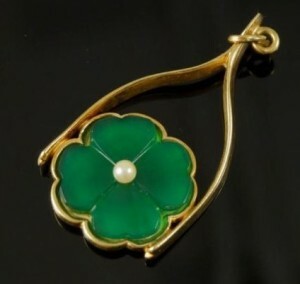 A four leaf clover is also said to symbolize fame, wealth, love and health. 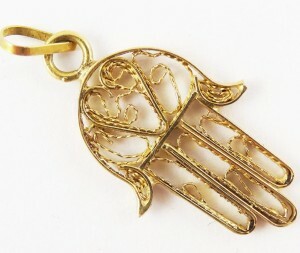 The Hamsa is a hand shaped amulet thought to offer protection to the bearer. In the Muslim culture the hand is a symbol of Fatima the favored daughter of the prophet Muhammad. Each finger represents faith, prayer, pilgrimage, charity and fasting. In Europe the hand held up was said to protect one against the evil eye. In the Jewish community the Hamsa is a reminder to use your five senses to praise God. The hand of Fatima is used in the Algerian emblem and is a symbol of a new era. To kill a ladybug is said to bring bad luck. Although the ladybug is a North American insect it transcends across many cultures. Ladybugs are used in farming as an organic pesticide. During the Middle Ages many European Christian societies referenced the ladybug’s spots to the Seven Sorrows of Mary. It is said that when the farmers prayed to the Virgin Mary to protect their crop that ladybugs appeared to defend, commonly called “Beetles of our Lady”. The name evolved into ladybugs. 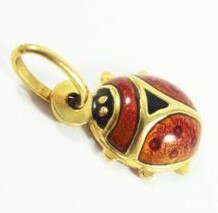 In many cultures the ladybug is used to reference Feng Shui, optimizing the flow of energy through space. When a ladybug lands on a person or thing it will be replaced with an improved version. Horseshoes are hung over doorways in many homes to protect and attract good fortune for those who reside there. 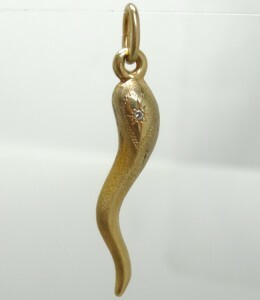 When a horseshoe is hung pointing upwards it will hold luck inside forever. 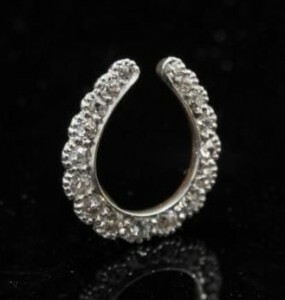 The horseshoe symbol has been associated with good luck for centuries. Blacksmiths were thought to have magical powers because of their ability to weld iron with elemental fire. In ancient Greece, horseshoes symbolized the moon which was regarded as a symbol of fertility. Simplistically speaking, horseshoes are designed to protect a horse’s hoof from wear. The mere existence of a horseshoe is to protect. Lucky charms can be very collectible in today’s market. Jewelry trinkets are wonderful examples of these symbols and can be found at our store. To shop for some of our lucky charms, click here.